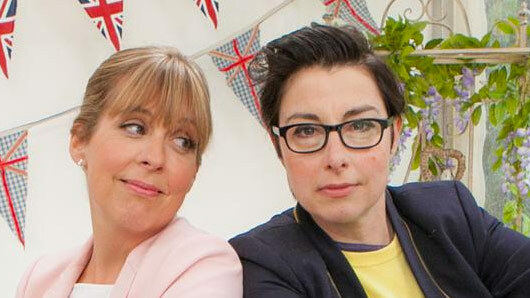 Paul Hollywood, Mary Berry, Sue Perkins and Mel Giedroyc may leave The Great British Bake Off when it moves to Channel 4. The judges and presenters on the hit baking contest have all previously admitted they wanted the show to remain on the BBC. Last night, Perkins retweeted a BBC statement urging Love Productions to “change their mind” over the decision to part ways with the BBC. The statement read: “Working with Love Productions, we have grown and nurtured the programme over seven series and created the huge hit it is today. “We made a very strong offer to keep the show but we are a considerable distance apart on the money. The BBC’s resources are not infinite. A source told the Sun newspaper: “Don’t be surprised to see new presenters when it moves to Channel 4. Sue is an unashamed fan of the BBC and didn’t want to leave. Her and Mel both wanted it to stay put. Last night, Richard McKerrow, the creative director of Love Productions, said about Channel 4: “We believe we’ve found the perfect new home for Bake Off. It’s a public service, free-to-air broadcaster for whom Love Productions have produced high-quality and highly successful programmes for more than a decade.